Ever have those moments when you wonder how your child can be so different from you in some respects? Amber loves puzzles and logic games. She actually seeks out these types of online and video games, while I have never found enjoyment in logic puzzles. 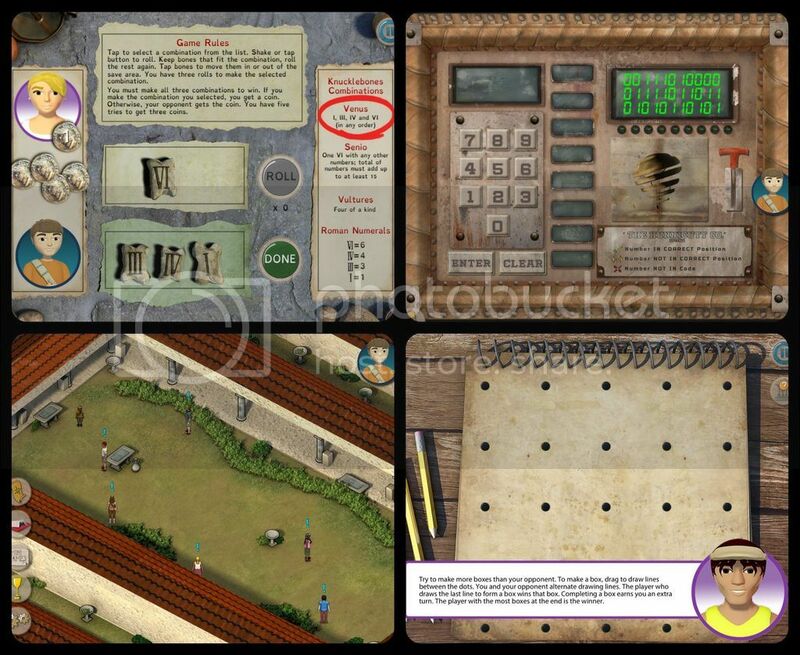 Still, when the chance came up to review two problem solving games from Dig-It! Games, I took the opportunity for my girl. The first game, Roman Town (iOS App) is only for Apple iOS devices. 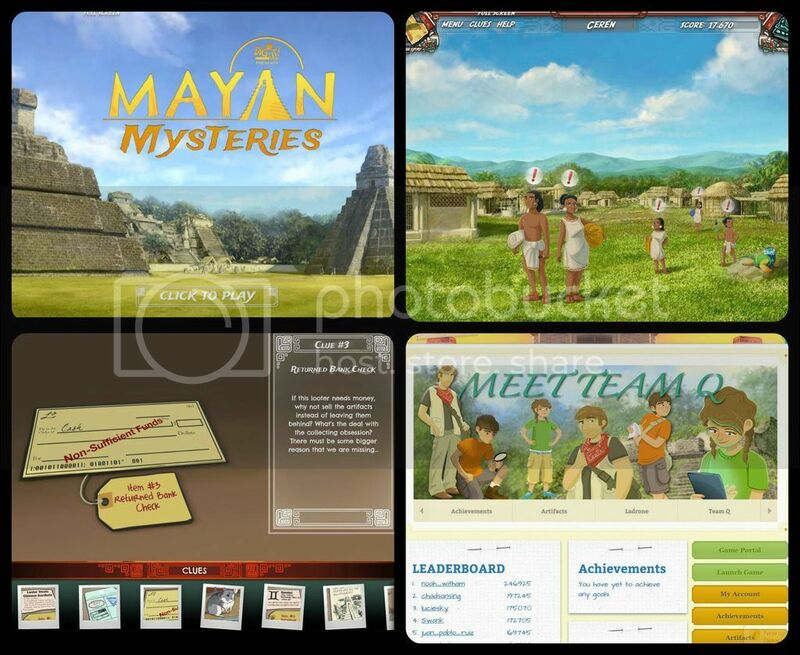 The second game, Mayan Mysteries (Online Game) is designed for the computer in addition to working on most tablets, except Apple iOS devices. 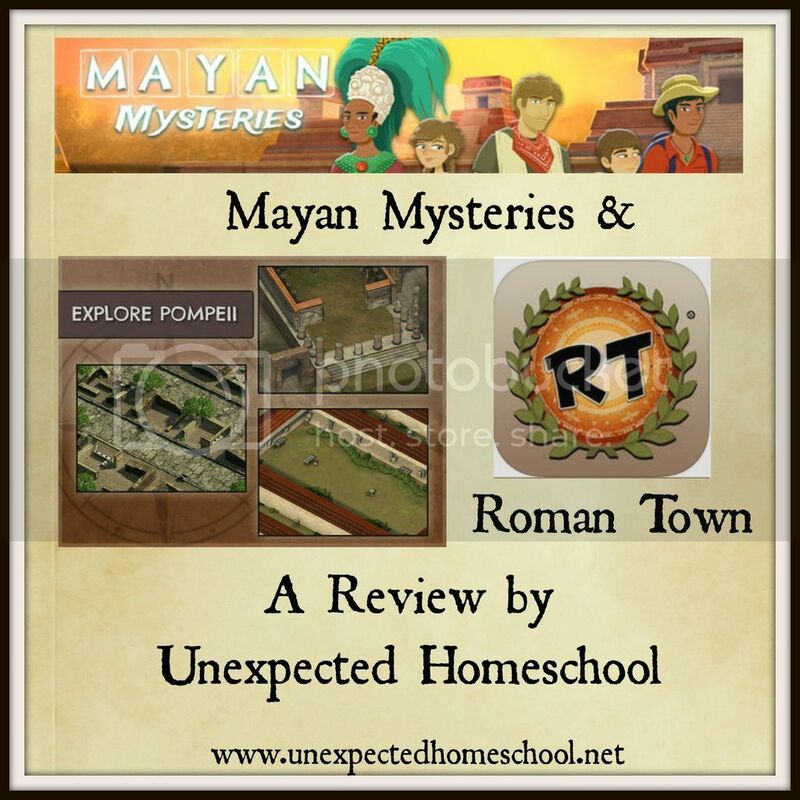 However, there is an iOS app version of Mayan Mysteries which was not part of this review. This is a fully loaded online educational game based in seven different real-life Mayan excavation sites The game is designed for roughly grades 5 through 9, or ages 11 years and up. The game is playable for younger ages, but the puzzles used may be too frustrating for a child younger than 11 years old. Comic strip type graphics are used to tell the story portion of the game and introduce the player to the characters in the story. The game follows an archeologist uncle along with his niece and nephew as they try to save the mythical city of Ich'aak from looters. By completing puzzles, the player collects clues from each of the excavation sites that have been already looted. In all there are 25 different puzzles throughout the game. Through the puzzles and clues the player will learn details of the Mayan people and culture, about the excavation sites, how the Mayan calendars worked, and even Mayan math. The puzzles require logic and clear thinking to complete and further the story line, yet are not so difficult as to completely stump the user indefinitely. The interface for the game is impressive and autosaves progress, which is a huge bonus for us. It is easy to go back re-read clues, view achievements earned and artifacts found, and even replay puzzles to gain a higher score. The story strips are also re-playable. This app is a free download available in the Apple App store, but to complete the majority of the game in-app purchases are required. For the purpose of the review, we were given the in-app purchases at no cost. It does require iOS 8.0 or later and is listed as compatible with iPad only. The game starts with our friends from Mayan Mysteries in Pompeii now and tracking Ladrone again. Using the game characters, the player talks to tourists in Pompeii to receive clues in finding the elusive Ladrone. Some tourists provide the clues without additional work, while others require the player to complete a mini-game puzzle. Through the clues and games the user learns about Roman culture, history, architecture / city design, word roots, and even Roman numerals. The puzzles require strategic thinking and help train the mind to think logically. Amber could not get enough of Mayan Mysteries and rapidly progressed through the game, completing it in just 3 sessions of approximately two hours each. She did not have a lot of exposure to Mayan history or culture prior to playing the game, and thus was eager to learn more. Amber did find a few of the puzzles to be on the simple side, but had to concentrate for many of the others. However, she is in 8th grade and not at the low end of the recommended age range. I was impressed with the amount of information Amber learned from the game. She gave me a complete description of the history of Mayan math and how it worked. She even replayed a few of the puzzles to demonstrate the math. I must admit to looking up this information to verify it was all correct and not fabricated for the game. I am pleased to confirm everything I checked is just as it should be. 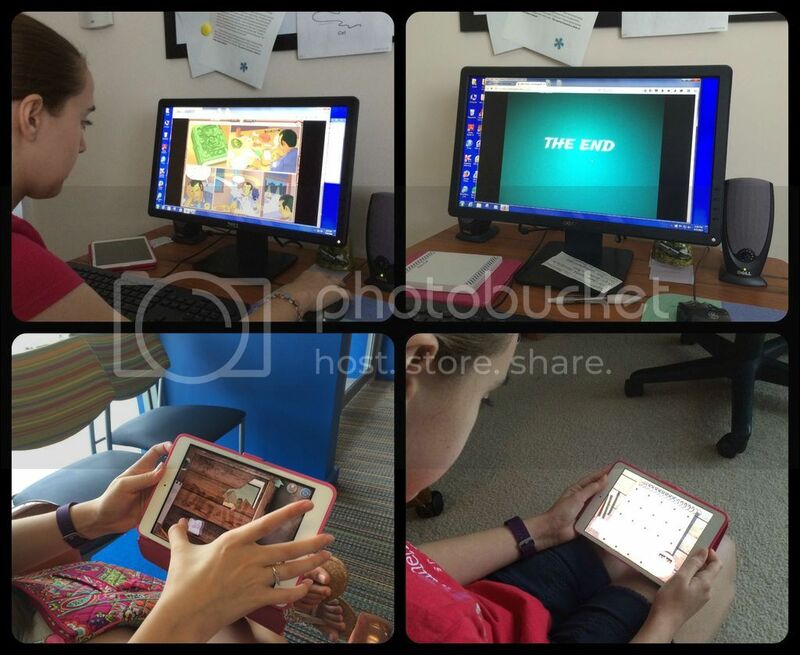 (Top) Mayan Mysteries: Comic strip story line, and finishing the game! (Bottom) Roman Town: On the go and at home. Roman Town was the first of the two games Amber tried, since she couldn't wait for a new iPad app. After playing both games, we realized she really needed to have played Mayan Mysteries first. While independent games, the characters and story line with the antagonist Ladrone make a good deal more sense after playing Mayan Mysteries. Amber did feel the story in Roman Town wasn't as detailed or interesting as in Mayan Mysteries, still she enjoyed the puzzle games in Roman Town equally as well as the Mayan Mysteries puzzles. Since the puzzles are related to the topic, either Roman or Mayan, they are not your run-of-the-mill logic games found in learning games. Each are tailored to fit the theme while challenging and entertaining the player. This was the first feature Amber noticed and she was especially pleased to have a new selection of problem solving games. Overall, we definitely recommended either of these educational games for encouraging and enhancing critical thinking skills through game play. Visit other members of the Review Crew to see the fun they had with these educational games!